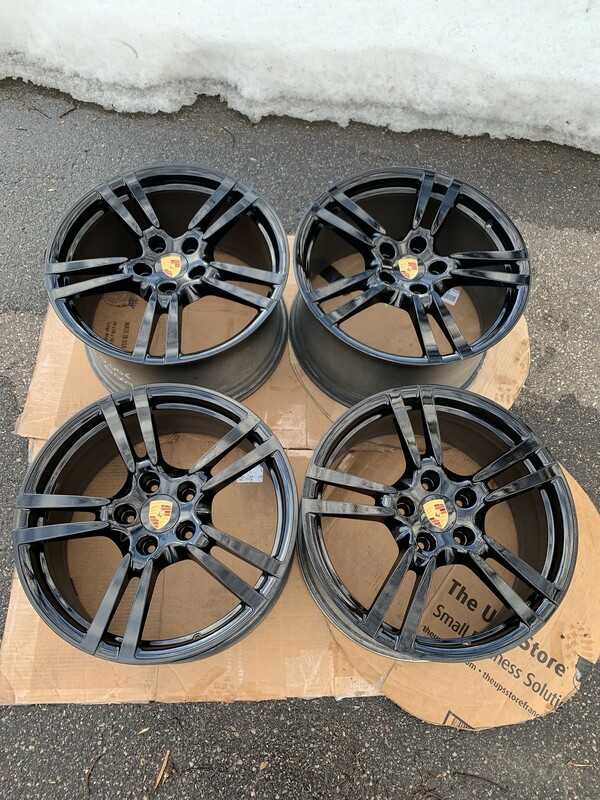 Selling my 20" OEM Porsche Turbo II Wheels in Panamera fitment. The wheels are in excellent/like new condition. I just had the wheels refinished professionally in gloss black and they haven't been used since. There were no bends or cracks repaired, just some minor rash/chips were the reason for the refinish. Feel free to message me if you are unsure whether these will fit your car.